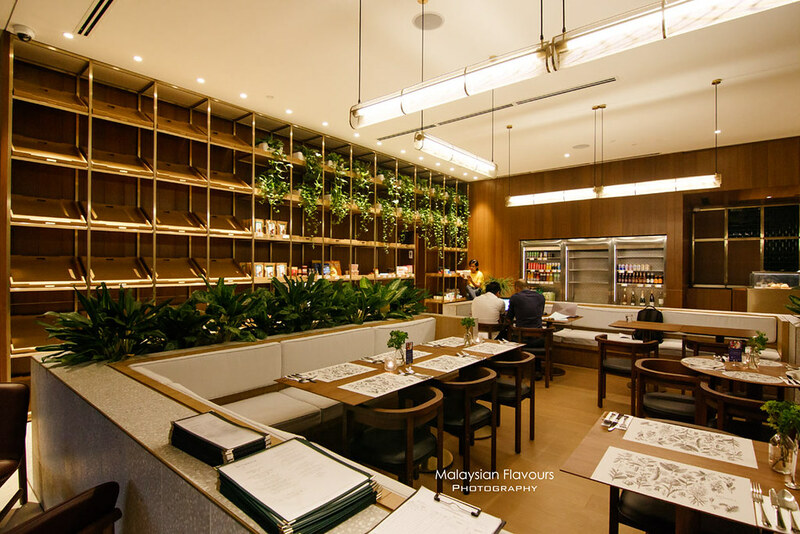 Botanica+Co, the ever popular ‘green house’ dining spot in Bangsar South has embarked on a new milestone last February, opening its second restaurant in Alila Bangsar, the newest 5-star hotel in Bangsar area. 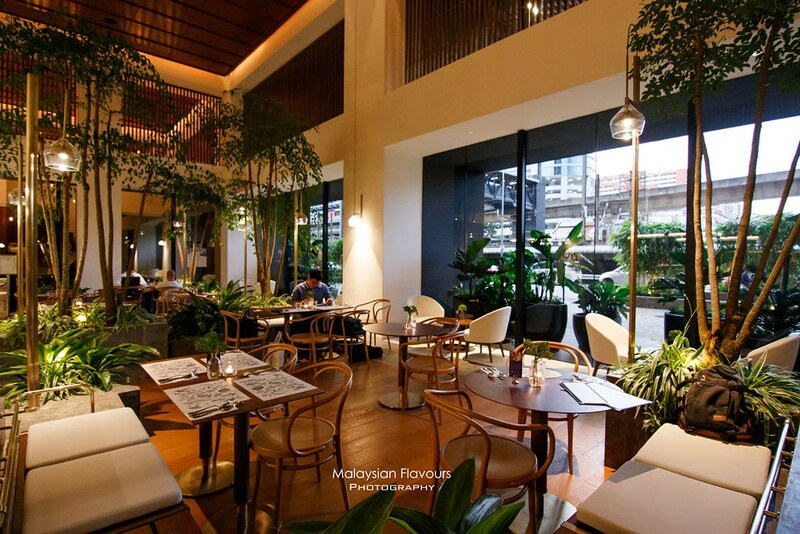 Easily accessible from Bangsar LRT, like, just 3 minutes walk via a link bridge, the new Botanica+Co is definitely an ideally positioned restaurant to visit for wholesome, unpretentious fare; beyond this, great for gathering, events, celebration, meeting or even merely teatime in between. Exquisitely designed by award-winning Shanghai-based interior design team, Botanica+Co at Alila Bangsar is brought to life in a soothing classy way, while staying true to their signature lush greenery concept. Minimalism, yet boasts a stylish finish. Warm wood and stone flooring, wooden furnishing, green plants, brass details – every element in Botanica+Co is thoughtfully mix & match to curate a harmony, laid-back atmosphere that delight the senses. Feels a little like modern Japanese garden to us, just that they couldn’t make a river indoor. LOL. 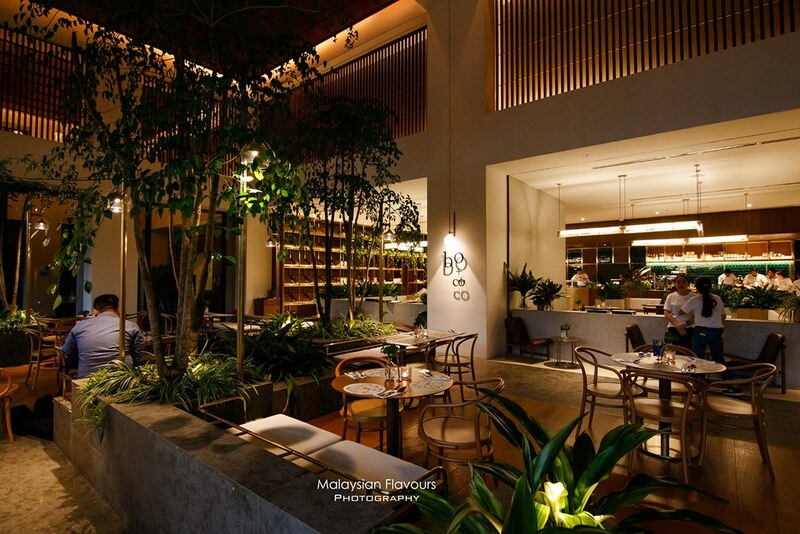 For food, Botanica+Co Alila Bangsar menu features an extensive selections of Western and Asian delicacies, crafted by Head Chef Sam Neoh who is known for his gutsy culinary style. 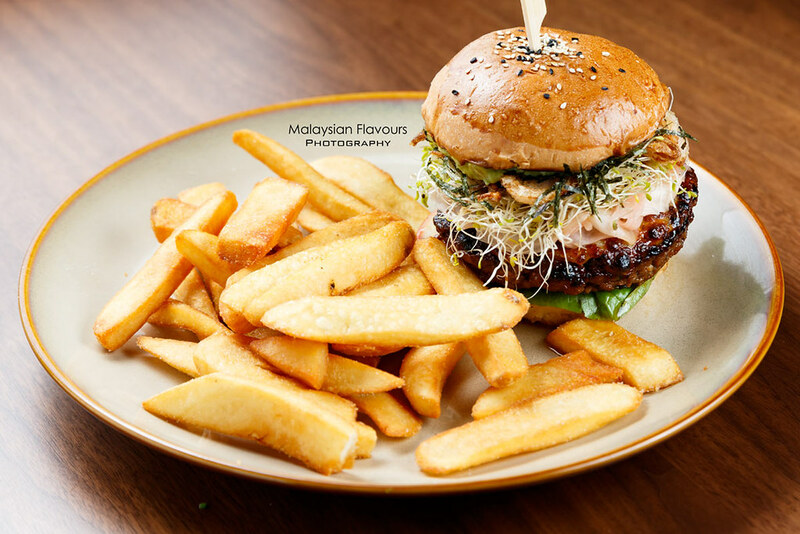 From sharing starters like The Bo+Co Truffle Fries, Curry Fries, Cheesy Grilled Cone to soup, salad, sandwiches and main course including Crab Mee Mamak, Prawn & Kale Pesto Pasta, Wagyu Beef Burger, Pasta Alfredo, King Prawn Roll and more, get ready for pleasurable dining with hearty flavours at this beautiful place. 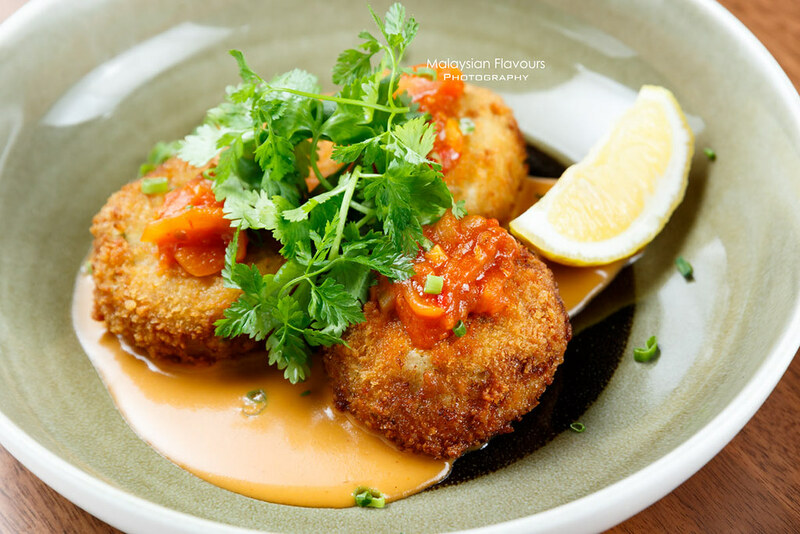 Kicked start our lovely dinner with House-made Crab Cake RM30.50, one of the latest addition to Botanica+Co menu. Chock full of crab meat thinly coated with bread crumbs, deep fried to golden brown and topped with a dollop of tomato sauce. It is warmth, crispy, crab sweetness and juiciness loaded. So good that there’s no dipping sauce needed to go along with. Highly recommended. 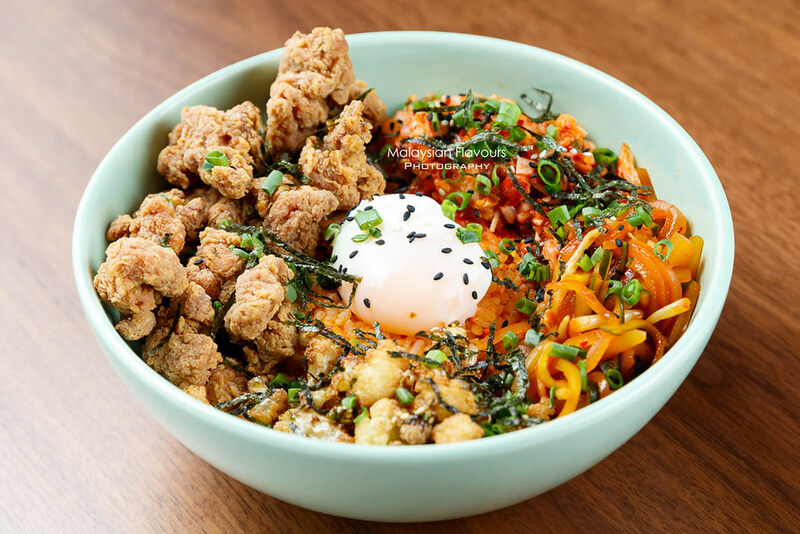 Korean Bowl RM34, like a bibimbap but with Botanica+Co very own creative twist. 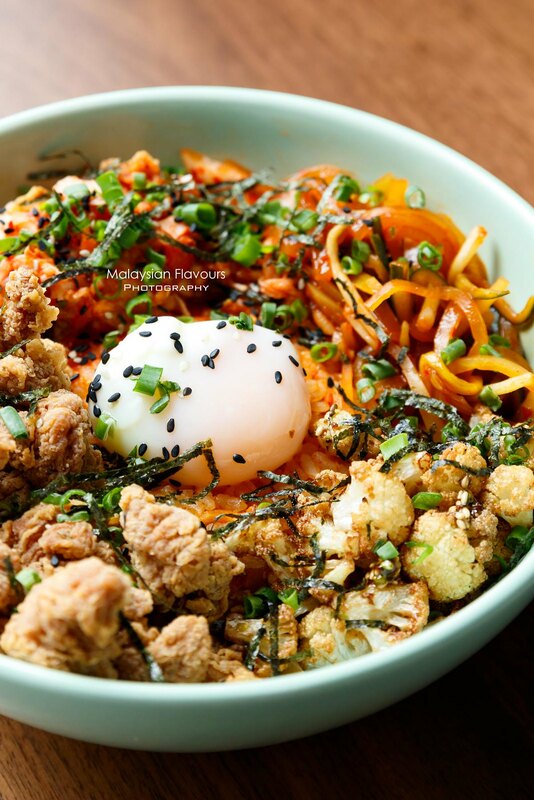 Egg wok fried rice heaped with deep fried chicken chunks, pasteurized onsen egg, pickles and cauliflower furikake. Toss everything together and tuck into delicious mess! Flavourful, blended with subtle spiciness and sourness from Korean pickles. 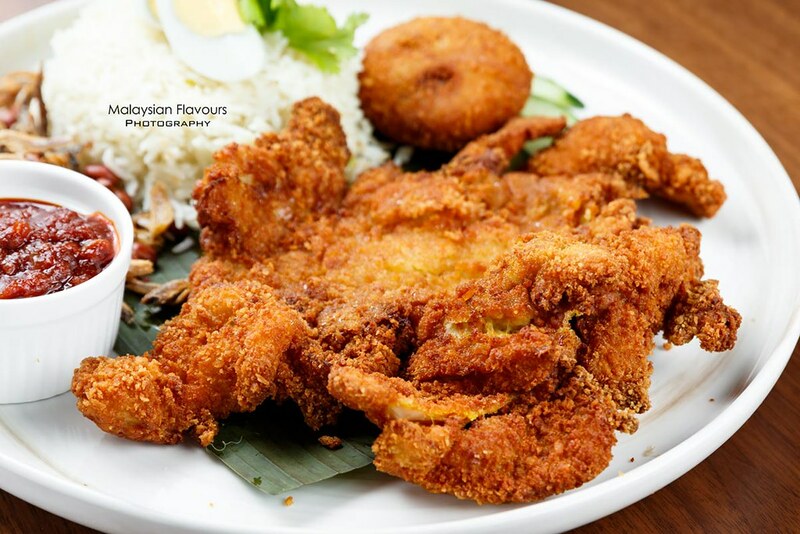 Comfort food that can easily feed 2pax, so share it. 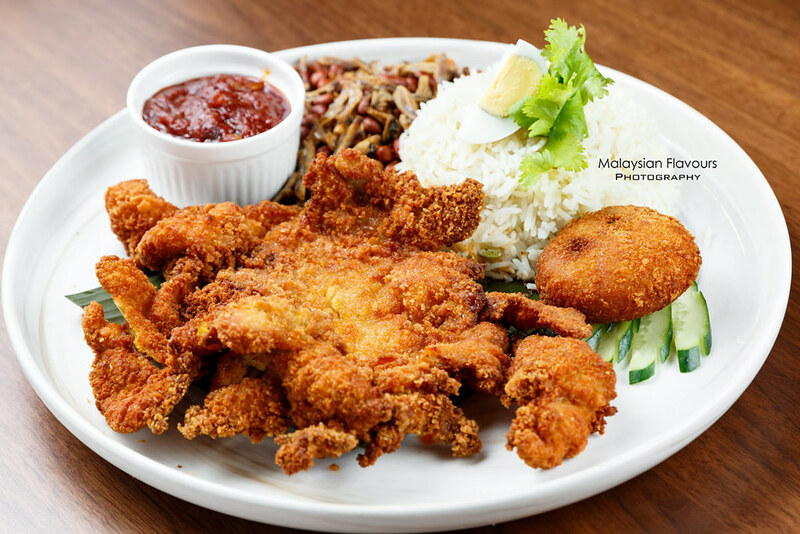 Big Chicken Nasi Lemak obviously lives up to its name, with a huge piece of deep fried chicken served together with coconut rice, egg, sambal, toasted peanuts and ikan bilis. 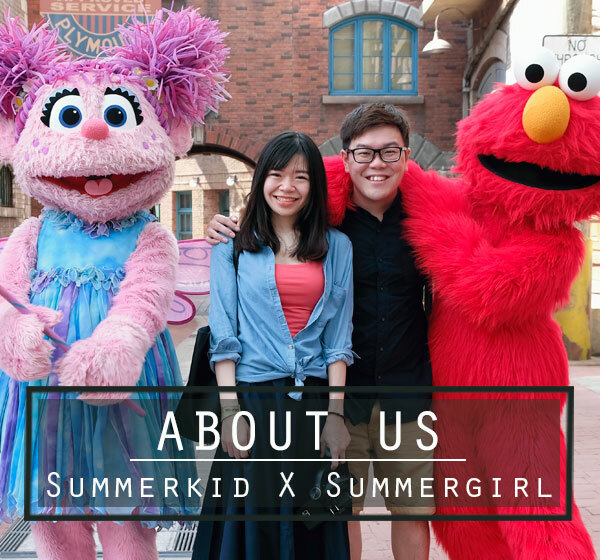 According to one of the staffs, the idea of of larger-than-your-face chicken is inspired from Taiwanese XL Fried Chicken, but minus all the artificial powder seasoning. Just pure crispy outside, tender inside boneless chicken. Seafood parmagiana – Summergirl’s favourite. Mussels, prawns and fish laid over fluffy soft bread with crusty side, blanketed in rich, creamy Parmesan cheese sauce. Love how the clean sweetness of moisture-locked seafood balanced up well with the sauce, making it not cloying, just nice. Have it together with coffee and make up a perfect brunch meal. 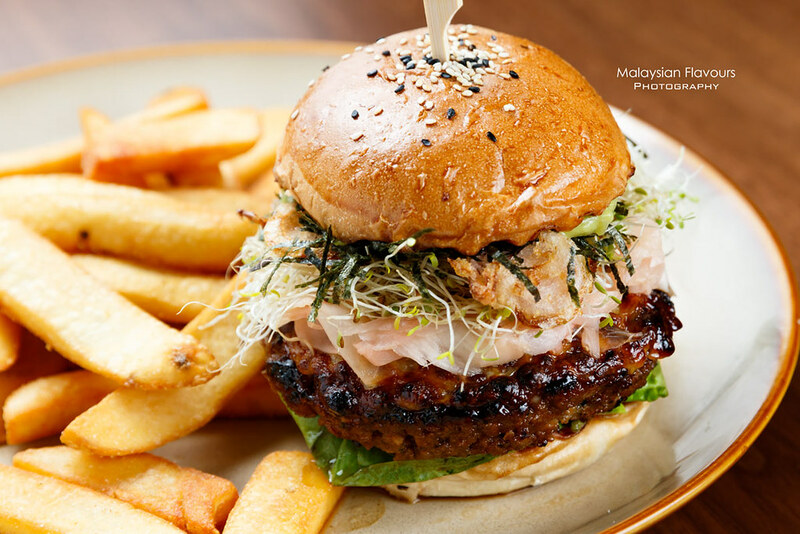 Wagyu Burger RM42.50, another must try. Judging from the name, we first thought that it will be just a standard burger with wagyu beef patty as center stage, then layering with cheese slices, tomato, sunny side up, green lettuce onion ring within two buttered bun. We are wrong. They stack up Asian sprouts, avocado, nori, pickle ginger, unagi sauce instead. 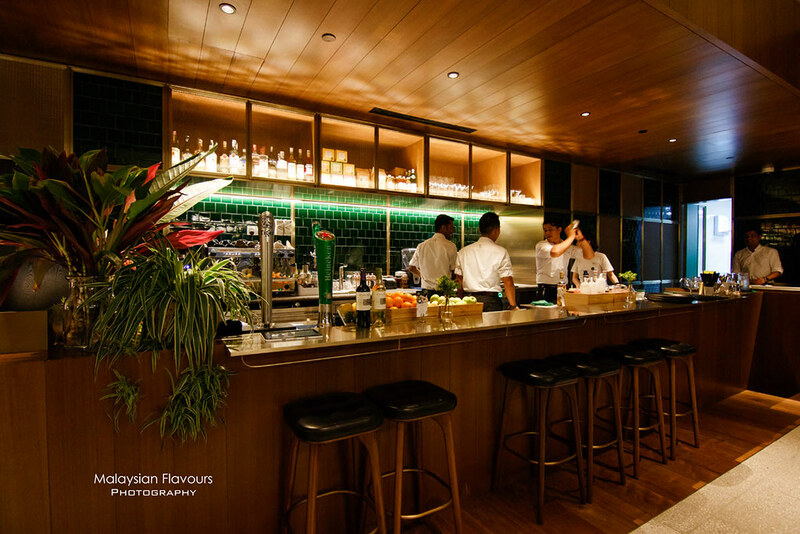 Myriad of flavours with Japanese fusion touch. Surprisingly amazing when put together! But no worries, the premium grass-fed Australian wagyu beef patty with a very nice charred edges is not shadowed. Save space for dessert. Banana Butterscotch Cake, Varlona Chocolate Pudding, Broken Cheesecake, Lemon Meringue Tart and Chocolate Ganache Tart are sweet treats available on Botanica+Co soft launch menu. 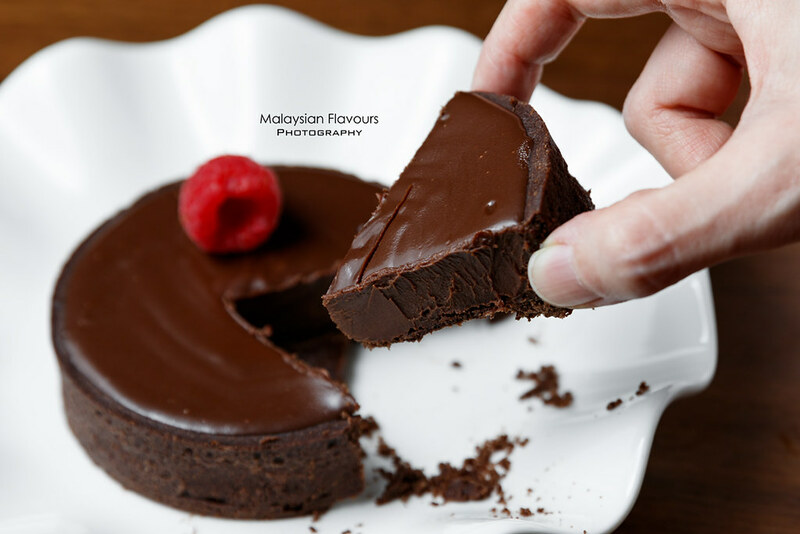 Their famous Lemon Meringue Tart doesn’t need further introduction, but we also recommend this Chocolate Ganache Tart RM24 if you love tart with dense, rich chocolaty. Give some extra marks to Botanica+Co for turning a simple banana cake into a more noteworthy, presentable Banana Butterscotch Cake RM17, and of course, better in taste too thanks to butterscotch sauce drizzled over! Warmth and comforting taste, pairing with vanilla ice cream for temperature contrast. Accompanied our meal with Botanica cocktails, by glass of by carafe. 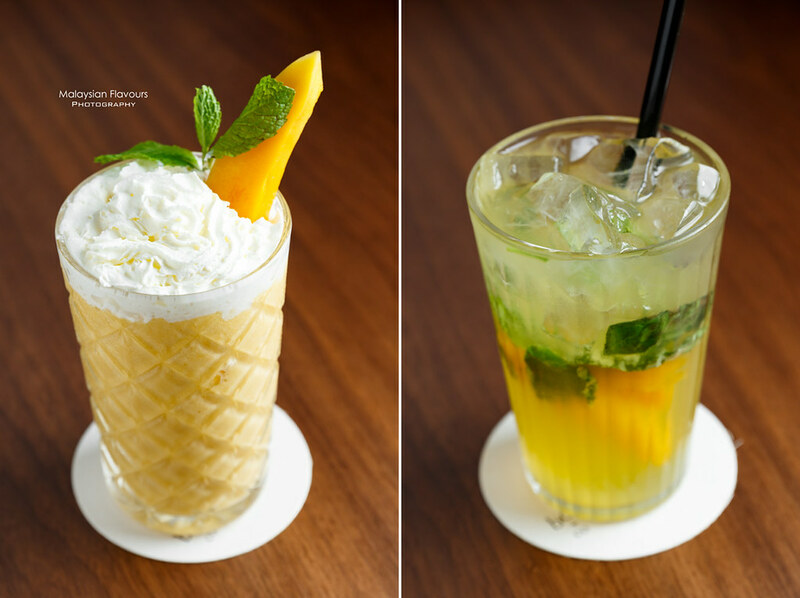 Always love their Spicy Tea Party RM75 and Botanica Collins RM90which are for sharing (2-4pax); try out Tiramisu Martini RM35 this time too. 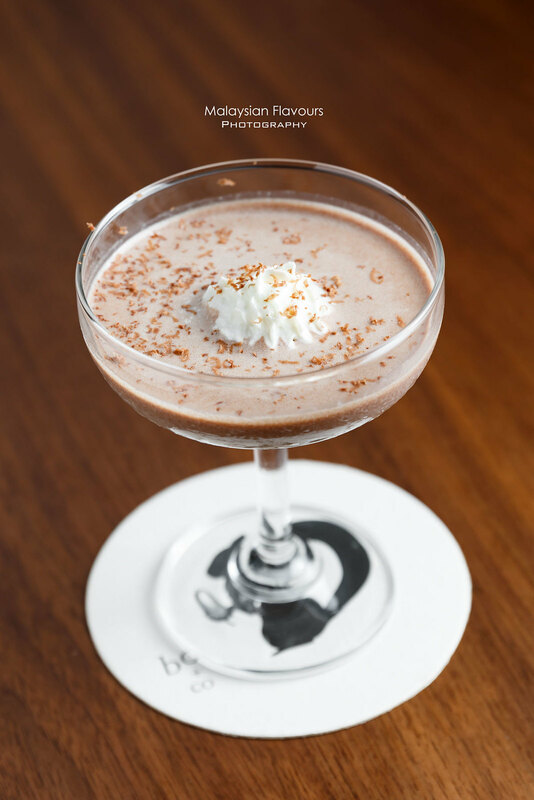 A concoction of coffee liquer, dark spicy rum, dark chocolate and vanilla ice cream. Recommended. For non-alcoholic drinks, opt for milkshakes, floats, homemade sodas, juices, tea, coffee or chocolate. Overall comment: Main course is generous in portion, worth the price you pay for. Suggest to order different dishes and share. We personally enjoyed Wagyu Burger, Homemade Crab Cake, Tiramisu Martini and Banana Butterscotch Cake the most. Friendly service, more convenient in location too! *Glad to be able to blog about this new place, thanks Botanica+Co for the hospitality. Nearest public transport: Align at Bangsar Station, LRT Kelana Jaya Line, cross the covered sky-bridge and reach in 2 minute following direction.